This was an unfortunate case of a war veteran who had accumulated too many things over many decades in the same home. The Wydle Green house had stacks and stacks of old books, magazines, and newspapers cluttered waist high throughout much of the house, leaving nothing but narrow paths to walk through. The matter was further complicated an excess of damp throughout the house. Hoarding clearances are both physically and emotionally more gruelling than the more typical clearances we handle. The house was densely packed with all manner of objects that built up over a lifetime. Items ranged from banal telephone bills dating back to the Thatcher administration to waterlogged photo albums and handwritten letters written home during the war. 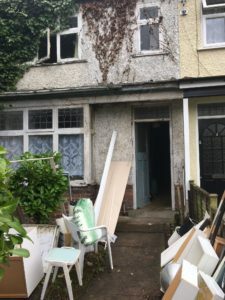 The former resident was cleanly upstairs but mould and damp had infested items downstairs, the owners had lost the ability to throw away clutter. The crew was able to identify items of value that could be used to help defray some of the cost of the clearance. Items included travel and advertising memorabilia from the early to 20th century, a massive collection of vintage leather jackets, military paraphernalia, and mid-century modern furniture. The sheer volume of things in the house made this clearance a labor intensive process. Moisture had built up over the years in many places which lead to mold. Masks were required for much of the removal. The job stretched out over five trips to the disposal facility. Carpets had to be removed throughout the house, as many had become damaged. Narrow stairs, narrow door ways, and narrow paths through the clutter slowed work down, but everything was well within the capabilities of the crew. 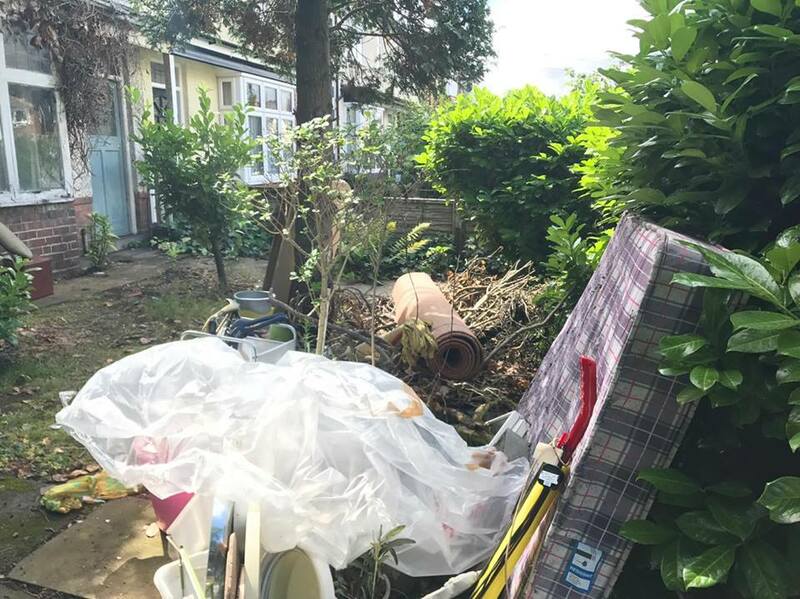 The clients were very pleased to find a company who could handle a very demanding hoarder clearance competently and without judgement. Over our 30 years of experience, we’ve seen it all, and we recognise that these things happen to good people from time to time. The customer was surprised at how quickly we were able to clear out room after room overflowing with accumulated ephemera. Do you require a hoarder house clearance in Wydle Green? We are available 9am to 8pm seven days a week and have served families throughout the West Midlands, including Marston Green, Meriden, Furnace End, and Hurley. Please don’t hesitate to get in touch; we’re a sympathetic professional service with more than 30 years of experience in clearing houses of every size and style. Our services can be tailored to fit your unique needs.